Hi Guys, today I am here to introduce you to Amazon Fashion and let you know that they've recently launched a new sunglasses store on their website. They have some beautiful styles from high street to luxury with brands like Fendi, Dolce&Gabbana and Prada. They have all the styles you could dream of and all the colours of the rainbow. I love a pair of colourful sunnies don't you?. The prices aren't too bad either and there are plenty sunglasses with discounts applied to them so you can bag a bargain if you've been looking for a specific pair. 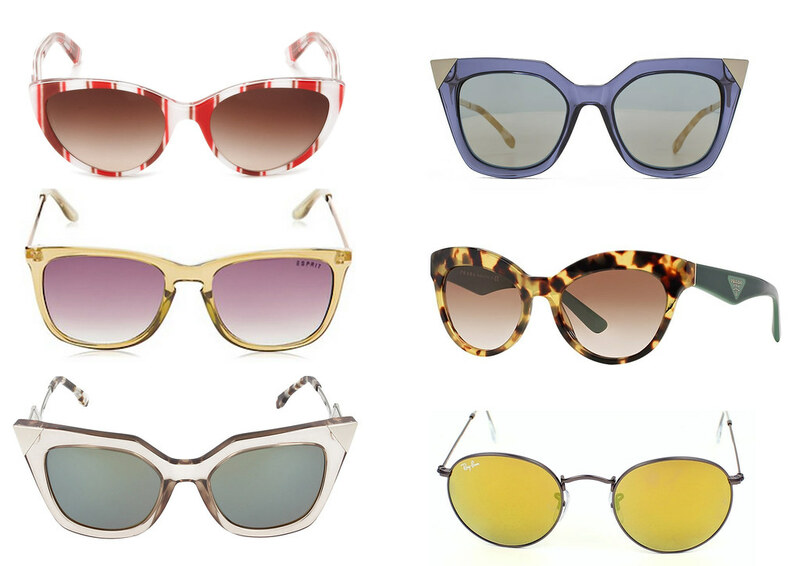 I am absolutely in love with the Fendi cat eyes and all the Prada ones. You can shop them all here. Hope you find your dream pair! 1. Dolce Gabbanna, 2. Esprit, 3. Fendi, 4. Fendi, 5. Prada, 6. Ray Ban.